Buckner was the first town in Collin County. It was named by John McGarrah for his home town of Buckner, Arkansas. 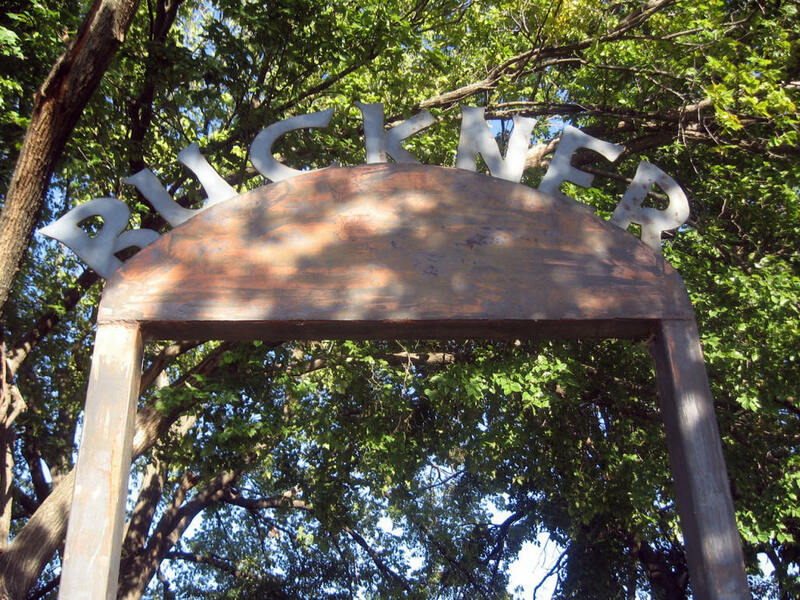 When Collin County was formed in 1846 by the state of Texas, the residents were told to pick a county seat within 3 miles of the geographic center of the county and name it "Buckner." The residents picked the existing town of Buckner because it was the only town in the county. However, it was 7 miles from the center of the county. The exact center of the county is on the East Fork flood plain. Two sites were picked for the county seat. Eleven residents voted on the location of the county seat with 10 picking the present-day McKinney square location. They tried to name the county seat Buckner as instructed, but the post office said the name "Buckner" was already in use. The residents named the county seat "McKinney" after the man who was in the state legislature from this area, Collin McKinney. The stores in Buckner were literally dragged to the square in McKinney and the town of Buckner disappeared. There was a Kiowa Indian tribe that lived near Buckner. It was led by a chief named Spotted Tail. As long as the Kiowas lived there, no other Indians attacked the area. Chief Spotted Tail helped bury people who died in a smallpox epidemic in 1873. He died from smallpox himself and was buried at the Buckner cemetery. He was given a white man's burial. 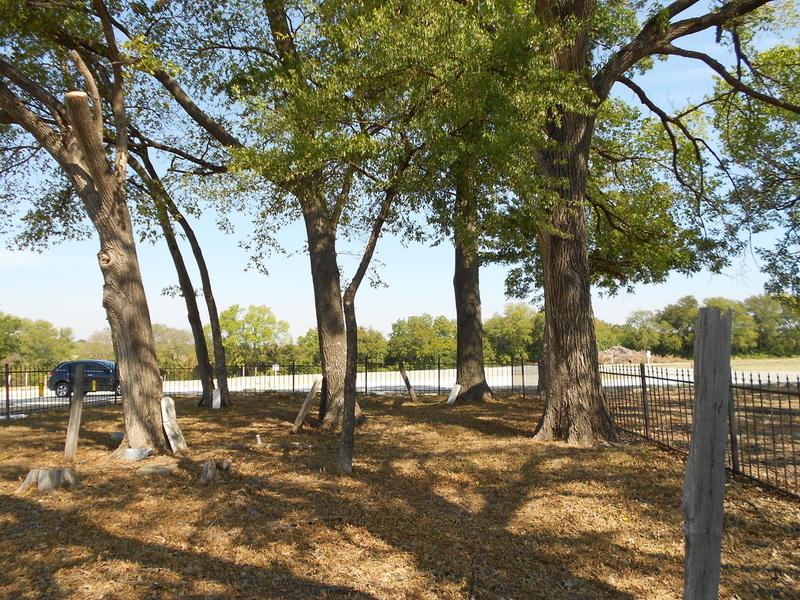 The ancient McGarrah-O’Brien Cemetery is slightly Northeast of the site of Old Ft. Buckner, the first County Seat of Collin County, and is a part of John McGarrah’s headright. According to the Peters Colony book, “John McGarrah, a family man, came to Peters Colony in 1842 and claimed his headright of 640 acres. His patent was number 981.” He built a little store or trading post, primarily to trade with the Indians who brought in furs to trade for goods he sold in the little store. He is listed in the 1850 census of Collin County as a family man, age 45 and came to the area from Fayetteville, Arkansas, where the family migrated in 1821. Then, too, the old Indian who lived with his small tribe near Buckner and is credited with saving the settlement from invasion of Comanche tribes is buried in an unmarked Christian grave at his own request [ Kiowa chief, Spotted Tail]. When small pox struck [in 1873] he volunteered to help bury the dead and died of the disease himself. BUCKNER CEMETERY Historical marker application. On another stone was carved the name David O’Brien, 1808 - 1885. David was one of 5 brothers who came to Collin County to settle in 1857 and in time David owned the land on which our first county seat was built, as well as that around the Old Buckner Cemetery. In time many called it the O’Brien Cemetery. ... Nearby lies his wife, Parmelia, 1823 - 1879, and that of his brother George, 1799 - 1876. Drury O’Brien, 1806 - 1876, and David’s son, Franklin, 1853 - 1870. George O’Brien died in 1873 according to very old newspapers, although his tombstone said 1876. According to the old McKinney Enquirer Small pox swept through Collin County and so many people died of it that the people were “hard put to” to find someone not sick to bury the dead. And here is where the old Indian Spotted Tail comes into the picture. He and his little band of Kiowas camped near Buckner and he became a real friend to the settlement, whether for his love of the white settlers or his liking for the “fire water” Jack McGarrah gave him from the keg he kept in his little store, is a debated question. But friend he was and old newspapers have written that his presence just west of Buckner kept many raiders away from the west. When the settlers died of the dread plague of smallpox, Spotted Tail helped to bury many people at night, as was the custom when burying victims of the smallpox. It was not long until he, too, fell victim and lies among the first settlers in an unmarked grave. There was a stone reading, P. F. (Mart) Kindle, 840 - 1912, who came with his parents to old Buckner at its beginning.